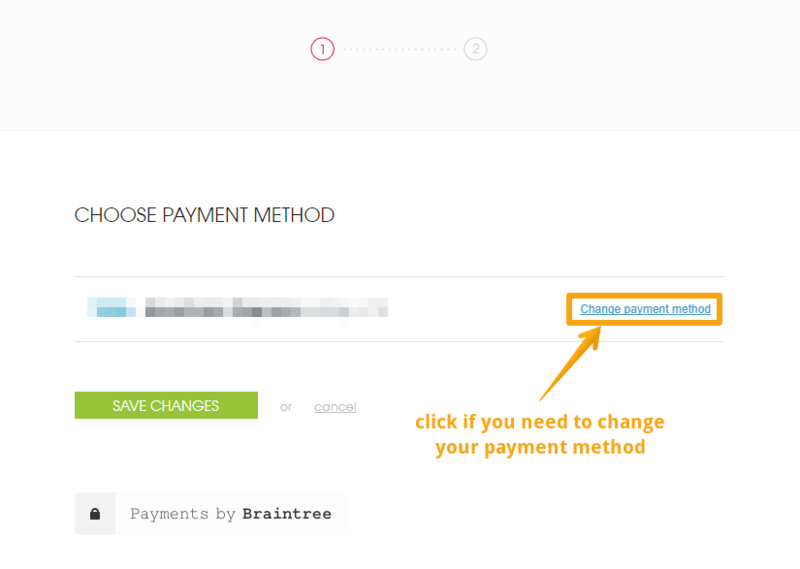 Payment Info is where you select your payment method (Credit Card or PayPal) and input the right credentials. Billing Data will be used in your invoices. You can also add a Billing Email that the invoices will be sent to. You can update your billing data at any time, and the changes will take effect with your next invoice. An additional field will be shown for users located inside the European Union. Note: you may have to click in the field for the additional options to appear. Select "I have EU VAT ID." if your company has one, and input it in the field above. The app will notify you if the ID is invalid – typos can happen, so just check it and try again. Select "I don't have EU VAT ID. I am a registered business." if you're running a registered company that doesn't (yet!) have an EU VAT ID. Select "I don't have EU VAT ID. I am an individual." if you don't own (or do not represent) a registered business, or would simply like to be billed as an individual. Uwaga: aby zobaczyć dodatkowe opcje, należy kliknąć puste pole "NIP". Note: click in the empty field "NIP" for the additional options to appear. Wybierz opcję 1, jeśli chcesz otrzymywać faktury na firmę. Wpisz NIP firmy w polu powyżej. Select option 1 to have your company billed for your account. Input your company's NIP in the field above. Wybierz opcję 2, jeśli chcesz otrzymywać faktury na osobę fizyczną. Select option 2 in order to be billed as an individual.